OTTAWA, Ontario—The federal government is revamping the regulations pertaining to heat-treated wood packaging products. Starting in January 2015, a new set of rules will be in place. Known as D-13-01, the Canadian Heat Treated Wood Products Certification Program will be the guideline for every business in the country. Currently there are two separate programs: one for producers who use kilns to heat-treat lumber—D-03-02, the the Canadian Heat Treated Wood Packaging Certification Program (CHTWPCP)—and one for businesses that build packaging and ship it out of the country—D-01-05, the Canadian Wood Packaging Certification Program (CWPCP). 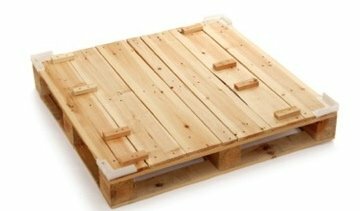 This regulation applies not only to pallet producers, but any manufacturer that creates custom-built wooden packaging for its products. Under the new rules, businesses already operating under one of the current programs will see the number of yearly inspections increase by 50 percent. “They go from two inspections per year for somebody just building wood packaging to three. And for somebody operating a kiln, from four inspections per year to six. 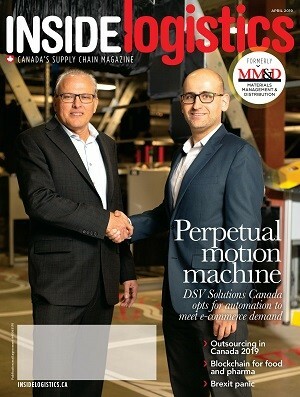 Those are people already on the program with proven compliance,” said Brian Isard, interim general manager of the Ottawa, Ontario-based Canadian Wood Pallet and Container Association (CWPCA). According to Isard, the changes were instigated after pressure from the US. “Seventy percent of all the lumber we ship goes to the United States. Their standard is 12 inspections per year. Now they do a different type of inspection. Their response to Canada was: we want you to move closer to our standard. He added that outside the US, the global standard is typically two inspections per year. Industry associations, including the CWPCA, the Canadian Lumber Standards Accreditation Board (CLSAB) and Quebec Wood Export Bureau (QWEB), will continue to be responsible for running the inspections and for policing businesses that don’t meet the standards. “There will be a mechanism for people who aren’t performing to have increased inspections, which they will be charged for. Everything will be performance-based. The good operators will stay at one level and the poor operators will have their inspection frequency increased,” said Isard. Heat-treatment is required to ensure insects aren’t transported across borders in the containers— a problem which Isard said doesn’t really exist. “The incidents of pest-contaminated material getting out of Canada have been virtually nil. So we’ve done an excellent job in our current programs, and compliance is very high. Our registered facilities are doing the right thing.